Washington, DC (April 5, 2019) – Events DC and Restaurant Association Metropolitan Washington (RAMW) along with its members are excited to welcome the 2019 Washington Auto Show from April 5 – 14, 2019. The annual show marks a new era for Washington, DC‘s largest public show. The 2019 Washington Auto Show will stock the Walter E. Washington Convention Center with a fully stocked automotive showcase that many describe as “new-car heaven.” For a complete list of events, please visit www.washingtonautoshow.com. During the full run of the Washington Auto Show, attendees are encouraged to dine out at our region’s critically-acclaimed dining destinations, with some RAMW member restaurants welcoming ticket holders to enjoy exclusive limited time specials. Read on for details! Take advantage of the “Prime Pair” prix fixe menu for $59/person at Del Frisco’s Double Eagle Steakhouse in CityCenterDC - available on Friday, Saturday and Sunday only. Join Central Michel Richard during the Washington Auto Show & receive 15% OFF all bottles of wine when you show your show pass! Available April 5 – 14, 2019 only. Since 1999, KAZ Sushi Bistro has been one of the top Japanese restaurants in DC serving authentic and creative dishes in very casual ambiance. Make your reservations today! Join Momofuku CCDC for a lunch break during the Washington Auto Show and enjoy a FREE cocktail, beer, or glass of wine with the purchase of an entrée. Rare Steakhouse and Tavern provides an unabashedly old-school steakhouse experience while following the decidedly new-school process of making everything in-house – with a dry-aging room on site, butchering in-house, and breads and desserts baked fresh daily at the restaurant. Make your reservations today! Show your Auto Show ticket when you dine at Morrison-Clark Historic Inn & Restaurant for dinner April 5 – 14, 2019 & receive 10% OFF your check. Bresca's menu is inspired by the principles of bistronomy, which was born in the modern bistros of Paris — casual fine dining wherein technique, seasonal ingredients, and experimentation become the everyday. Please note Bresca's menu does change frequently, with the seasons and with the whims of Chef Ryan and his culinary team. Make your reservations today to experience one of DC’s newest Michelin-starred restaurants today! Visit FishScale in the trendy Le Droit Park/Shaw neighborhood to refuel after walking through new car heaven and ignite your taste buds with their one-of-a-kind, fire grilled, wild caught fish burgers! Show your server or bartender your Auto Show Pass and enjoy a FREE Farmers Donut (cake or glazed only) with entrée order (brunch excluded) during the duration of the 2019 Washington Auto Show 4/5 – 4/14. Take in the new cars and then grab a bite while taking in a show at one of DC’s newest venues, City Winery DC! Exclusive: Use promo code CWAUTO19 for 15% OFF tickets to any show 4/5 – 4/14. See website for menus and schedule of upcoming shows to choose from! Show your Washington Auto Show ticket and enjoy a CIRCA Burger and any draft beer for just $12 from April 5 – 14, 2019. Receive 20% OFF your final bill when you join Pennsylvania 6 to refuel in their main dining room and present your Auto Show ticket or proof of registration. B Too is a great metropolitan restaurant where Chef and owner Bart Vandaele showcases contemporary healthy farm to table food. He mixes his love for American food with his Belgian heritage – a recipe for a surprising experience! He created an exceptional wine cellar with a wide selection of European and American wines, featuring over 80 Belgian beers of the best Belgian brewers at both bars. Make your reservations today! Present your Auto Show ticket stub when you dine out at LINCOLN Restaurant and receive 10% OFF your final bill! Join Ottoman Taverna in the Mount Vernon Triangle neighborhood for lunch or dinner (+ brunch on weekends) and receive 20% OFF your check when you show your Auto Show ticket! Dino’s Grotto features local sustainable seasonal foods prepared with an Italian sensibility. Swing by to refuel after walking the Auto Show (they’re right down the street from the Convention Center!) and receive 50% OFF any antipasto from their dinner menu when you flash your ticket. Dine out at Bobby Van’s Grill and receive a FREE dessert when you order any entrée and present your Washington Auto Show ticket! Offer available April 5 – 14 only. Belga Cafe is a restaurant concept by Belgium native and award-winning Chef Bart Vandaele. A vibrant atmosphere modeled after Brussel's casual cafes, Belga Cafe is the original Belgian restaurant in Washington, DC. Opened in 2004, the neighborhood locale on Capitol Hill is known for its authentic cuisine, extensive craft beers and Genevers. Serving, lunch, dinner, the ever-popular brunch, and "Dinsdag Mossel," Belga Cafe features an open kitchen, European casual dining room along with a sidewalk cafe. It is a small piece of Brussels on the Hill! Join Honeysuckle for a delicious meal on your way too or from the Washington Auto Show and receive 15% OFF your check when you show your ticket or proof of registration April 5 – 14 (exclusive of tax and gratuity). Join Cava Mezze on Barrack’s Row for dinner service, and receive a FREE order of donuts, with purchase of (2) Mezze when you present your Auto Show ticket or proof of registration April 5 - 14. Donuts are available Monday - Sunday starting at 5:00pm. Join Capitol Hill staple, Charlie Palmer Steak, as Executive Chef Mike Ellis offers a classic 3-course prime rib dinner on April 5th and 12th! Featuring slow-roasted, herbed prime rib from 44 Farms, and all the traditional fixings, as well as available wine pairings, this is a meal to make a tradition. For a daily special, they’ll be offering DAOU Cabernet Sauvignon for $75 a bottle or their Cherry Blossom Sour cocktail for $15 when you present your Auto Show ticket April 5 – 14. Join any of Pizzeria Paradiso’s DC locations to refuel after visiting the Auto Show and receive $2 OFF an order of meatballs when you show your ticket or proof of registration April 5 – 14. Present your 2019 Washington Auto Show ticket when dining at Maple Ave Restaurant to receive a 3-course meal for just $35/person April 5 – 14, 2019! About the 2019 Washington Auto Show // The Washington Auto Show is an annual event that welcomes hundreds of thousands of visitors, including many environmental and automotive visionaries. This year, the show takes place from April 5 – 14, 2019, highlighting the brightest and boldest dreams of the auto industry. Along with the engineering prowess on display among the more than 600 new models from over 35 manufacturers, the 2019 show will feature VIP tours led by award-winning automotive writers and a special exhibit area for live painting of “art” cars. As a bonus, there will be onsite visits from celebrities and sports personalities! 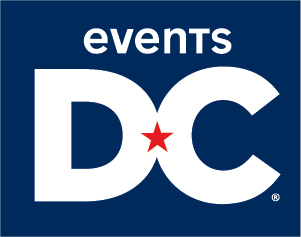 About Events DC // Events DC, the official convention and sports authority for the District of Columbia, delivers premier event services and flexible venues across the nation’s capital. Leveraging the power of a world-class destination and creating amazing attendee experiences, Events DC generates economic and community benefits through the attraction and promotion of business, athletic, entertainment and cultural activities. Events DC oversees the Walter E. Washington Convention Center, an anchor of the District’s hospitality and tourism economy that hosts more than 1.7 million visitors and generates more than $400 million annually in total economic impact, and the historic Carnegie Library at Mt. Vernon Square. Events DC manages the RFK Stadium-Armory Campus (RFK Campus), including Robert F. Kennedy Memorial Stadium, Festival Grounds at RFK Campus, the non-military functions of the DC Armory and the Skate Park at RFK Stadium. Stay current on the 190-acre RFK Campus Redevelopment Project at www.RFKCampus.com. Events DC also built and serves as landlord for Nationals Park, the first LEED-certified major professional sports stadium in the United States. Events DC manages Gateway DC, R.I.S.E. Demonstration Center and the Entertainment and Sports Arena (www.ESAontheRise.com), all conveniently located in the Congress Heights neighborhood of Washington, DC. For more information, please visit www.eventsdc.com and find us on social media – Facebook, Instagram and YouTube (Events DC), and Twitter (@TheEventsDC).